Review Context: I’ve never played a Level-5 game before, but I’m a fan of RPGs, which is why Fantasy Life caught my eye. 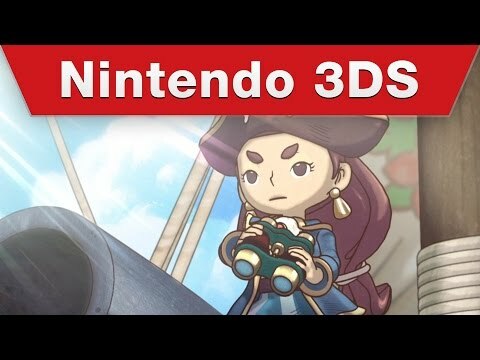 The Fantasy Life story takes place in a world called Reveria, that is living in fear due to the area being barraged by metoer-like rocks called “Doomstones.” The main town, Castele, has a statue of a goddess, who is worshipped by everyone and is praised for sacrificing herself for the good of the people. Due to this sacrifice, the people of Reveria are granted the ability to be whoever they want to be. At the start of the game, the player is met by a talking butterfly, who helps guide the player through the story. This butterfly plays a significant role in the story (which I wont spoil), but engaging in conversation with the butterfly also controls how quick players move through the story, which is the player’s choice. After the player meets the butterfly in the beginning of the game, the player is then sent on the mission to investigate the issues occurring in Reveria, which sets up the entire story. The story features a lot of snarky dialogue, but too much filler, which is frustrating to read through to move forward in the game. Although the story and ending may not be the best story ever told, the addicting gameplay of Fantasy Life will make you forget there was even a story in the first place. Due to the way the game is designed the story is almost secondary to the gameplay, but the story advancement controls the areas a player may travel to in the world. At the start of the game players create a character with custom looks and pick a starting “life.” A life is essentially a class when discussing RPGs in general, but these lives are non-binding, meaning players can change their life at will by talking to a guild master. When players start the game they have to go through the tutorial quest of that life, but after the initial tutorial they can skip the tutorials for every other life. Some examples of lives in Fantasy Life are mercenary, hunter, alchemist, woodcutter, angler, carpenter, blacksmith, paladin, mining, tailor and cook. Some of the lives are non-combat, but the way the game is designed allows every life to be viable as player’s move through the story. The different lives also have different stat bonuses when active. Every life is given quests by their life master, which have objectives that can be done simultaneously with quests from other lives a player has a license in! This means a player can do quests for many different lives at the same time. Every time a quest is completed the player earns stars, which moves the player up in rank with that specific life, which unlocks more quests to do. The game also has side quests, in which players can queue up to thirty quests in their log at a time. Side quests utilize the day/night cycle, so some side quests can only be turned in at specific times. The user interface does no favors by not indicating either day or night in the quest log and not giving any type of arrow directions to the quest giver, which can be a major frustration. Most of the quests themselves are relatively easy fetch quests, but also addicting to do at the same time, giving me flashbacks to my World of Warcraft playing days. Throughout the game players will also encounter fights with “bosses” that yield loot called “bounties,” which can be turned into bounty masters that give rare materials that can be used for crafting or trading with players online. As players move through the story they will level up, which gives two stat points to distribute in either strength, vitality, intelligence, focus, dexterity, or luck. The stats themselves affect weapon damage and and give bonuses to different lives. If you get queasy feelings in your stomach when you see stat points, rest assured that you can respec after you beat the game. Fantasy Life has a level cap of 99, but can be extended to 200 with the DLC. Personally, I was able to beat the main story by level 45. The combat of Fantasy Life is similar to Zelda: A Link Between Worlds, but the camera is zoomed in a little closer. 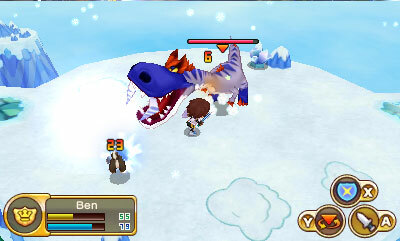 The different lives have different attacks, which include pressure based attacks using the buttons on the Nintendo 3DS. Although the controls and combat itself is easy, most of the combat revolves around timing attacks and dodging the enemy by moving the analog. What Fantasy Life does the best is a crafting system that not even Elder Scrolls V: Skyrim or World of Warcraft can compete against. Each non-combat life crafts using three different stations. How this works is that a timer starts and there is an indicator on the bottom of the screen, which tells the player what station to move to next. Each station either has a player pressing A repeatedly, timing pressing A like a metronome, or holding down A. The quality of the item crafted is based on the time of how quick a player completes the crafting. As items are crafted over time players will unlock shortcuts to craft and the ability to add custom modifications to make the item better. What makes crafting fun is that experience can be gained, like in Elder Scrolls V: Skyrim. What also adds authenticity to the crafting experience are the sound effects associated with each station. So for example, when you’re at the saw station sawing wood you will hear that sound, and if you’re hammering nails on wood to make furniture you will hear the actual hammering sound. 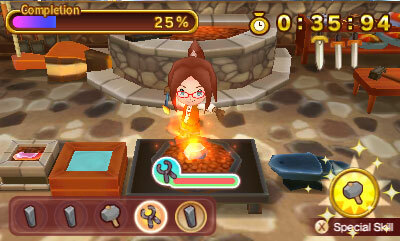 Little things like crafting sounds make Fantasy Life a fun and fulfilling experience. Where Fantasy Life surprises is the great multiplayer experience. I was blown away by the lagless play with other players. Unfortunately, Fantasy Life doesn’t feature matchmaking, so players will have to add players with friend codes to their friend’s list in order to play with eachother. The game has a nice friend’s list type of system so player’s can be notified when their friend signs on. Even better, the game has a decent chat system so players can communicate with eachother, even if they aren’t connected to eachother in the same game. This multiplayer chat system gives the game a nice ‘MMO’ feel that I was completely blown away by. Players can also trade items, and players can set an item to be given out via StreetPass. Where the multiplayer disappoints is that the DLC separates player bases, so players without the DLC can’t play with players that do. The one positive is that the DLC doesn’t block chat communication. If Elder Scrolls V: Skyrim, World of Warcraft, and Zelda: A Link Between Worlds had a baby it would be called “Fantasy Life,” This baby needs to be owned by everyone, so get a life!